Christiane Wierich works as a SAP Business Intelligence Consultant at Windhoff Software Services GmbH, a long-standing, Germany-wide Special Expertise representative and Gold Partner of SAP. Christiane Wierich has been a SAP Business Intelligence Consultant for Windhoff Software Services GmbH since 2014. As a long-standing, Germany-wide Special Expertise representative and Gold Partner of SAP, Windhoff Software Services GmbH is the right contact for holistic and standardized solutions. With more than fifteen years of experience and over 250 successfully completed projects, it is one of the biggest national SAP Business Intelligence Specialists. 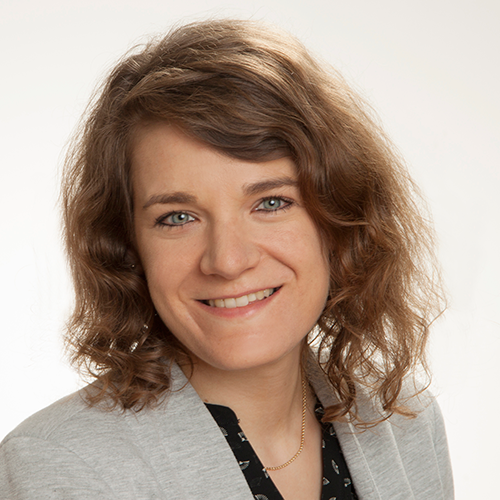 Since her master graduation in 2014, Christiane Wierich has worked as a Business Intelligence Consultant and has developed and implemented reporting solutions on a number of projects for well-known companies. She particularly focuses on the realisation of user-friendly dashboards and reports, using common SAP BI Front-End-Tools like SAP Business Objects Design Studio as well as SAP Business Objects Web Intelligence. 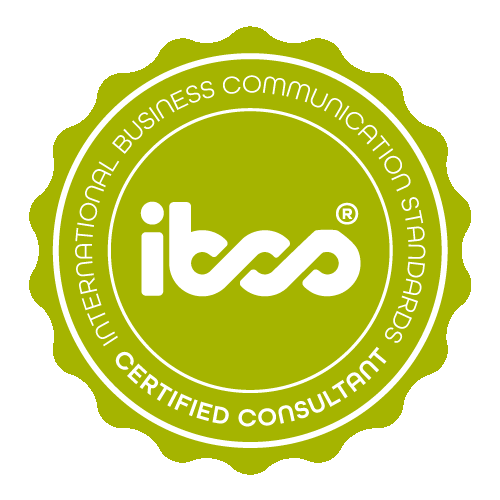 Christiane Wierich has successfully completed the IBCS® certification for successful design of reports and presentations at the HICHERT+FAISST IBCS Institute in October 2015. The technical implementation was achieved with SAP Design Studio v.1.6 and Graphomate Charts v.2.4.16.1. Small multiples Problem definition: An IT service provider is looking for an overview on sales revenues of individual stores including target figures on a monthly basis. There is a turnover forecast for the current calendar year based on a monthly and store basis. An IBCS® conform solution with 'small multiples' allows the comparison per year and store in one presentation without straining the eye of the user. Due to the small size of the presentation, the deviations 'turnover to plan' and 'forecast to plan' were included in the bars of the small multiples for the outstanding months of the year. Bar chart Problem definition: A fashion company requires constant reporting of YTD revenues according to listed product categories. Here, the absolute sales figures are just as important as the achievements of revenue targets, as well as the yielded revenues during the same period of the previous year. Categories whose performance excel or fall behind shall highlight immediately. 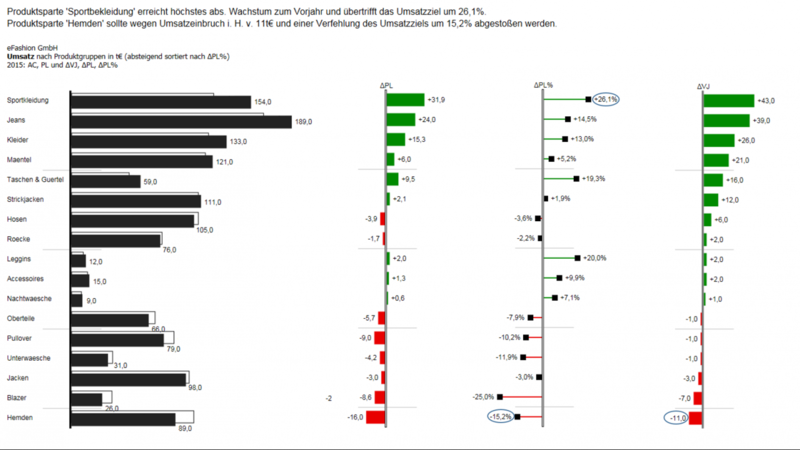 The problem is solved by means of a bar chart diagram and three deviation charts. With over 20 years of experience, Windhoff Software Services is one of the leading German consultancies with an exclusive focus on SAP Business Intelligence.